Welcome to Tuesday News Day; the day for jewelry updates and other relevant or possibly irrelevant news. I’m a day late on my Tuesday News Day post. We just returned from a month and a half in Mexico and I’m pretty much behind on everything! We had a fabulous time though and you can be sure I’ll be blogging about our experiences in the upcoming weeks! In the meantime, the holidays are upon us and that means (among other things) 20% off coupons! 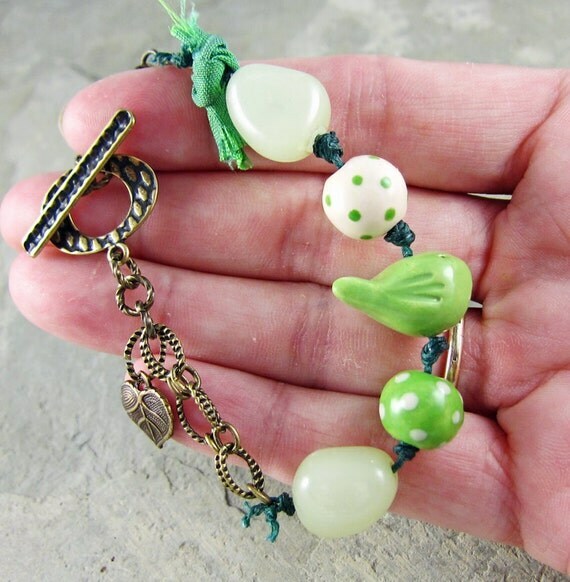 Bonfire Bracelet – I made this while in Mexico. 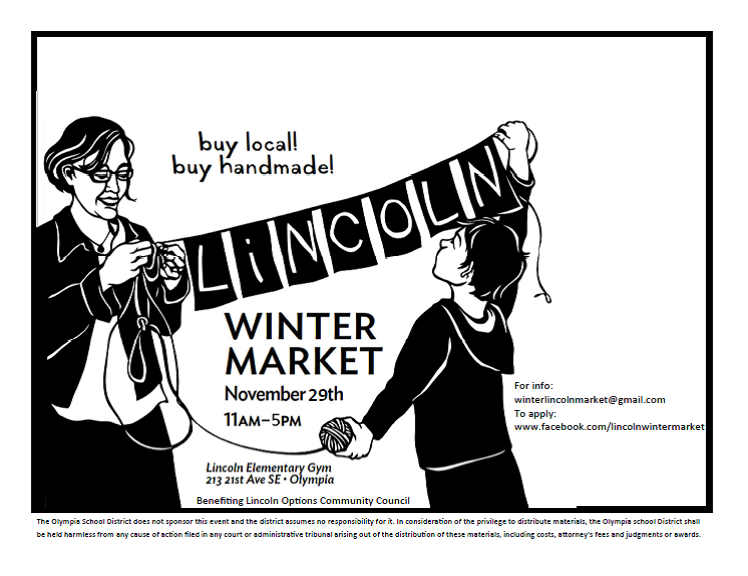 The one all-purpose code is: AWHOLIDAY (AW=Artisan Whimsy) The AWHOLIDAY code will work in both of my shops. Enter it at check out and you will receive 20% off your entire purchase. 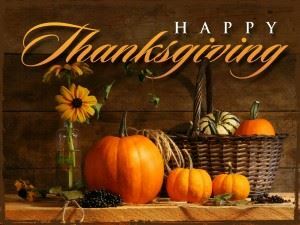 This code is good from Thursday, Nov. 22, 2012 through Monday, Nov. 26th 2012, 12:00 pm EST. In addition to this blog, I also write for the Art Jewelry Elements blog twice a month (every other Friday). The AJE blog was reviewed in the December issue of Beads and Beyond, a British jewelry magazine. 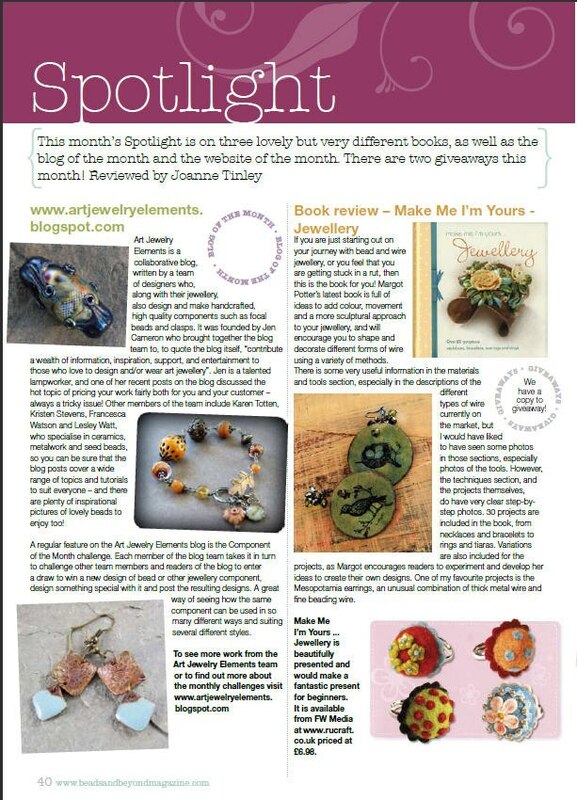 I was thrilled to discover the lovely review, plus a picture of a pair of my earrings was included as part of the review! Beads and Beyond magazine article, (my earrings, lower left). We are having a totally fun online holiday “party” over at AJE on Black Friday. 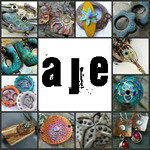 Head over to Art Jewelry Elements on Friday for brief holiday posts every half hour, all day long. 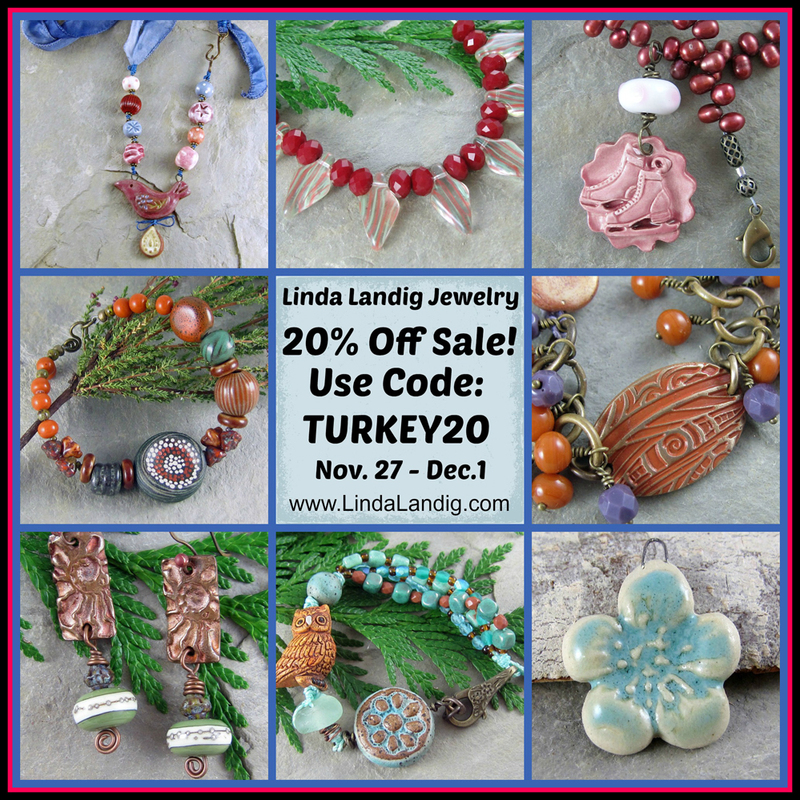 You’ll find holiday recipes, humor, jewelry and bead giveaways and more. Something new every 30 minutes! Loads of fun!